In the Kaffe Fassett Mystery Quilt 2018 you will receive a fabric package and instructions each month for 10 months, starting in March 2018 (Subscriptions now closed). You can choose between a “Dark” colourway or a “Light” colourway, but as to what the quilt looks like, well you won’t find that out until you finish piecing it. If we showed you then it wouldn’t be a mystery, but we can’t do that because we don’t know what it looks like either! All we can say is that, as it is a Kaffe Fassett quilt it will be colourful. 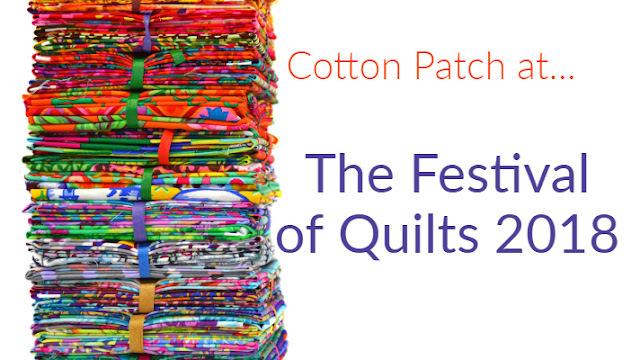 We, of course, were also very excited to see what the Kaffe Fassett Mystery Quilt Month One revealed and we must say, we weren't disappointed! 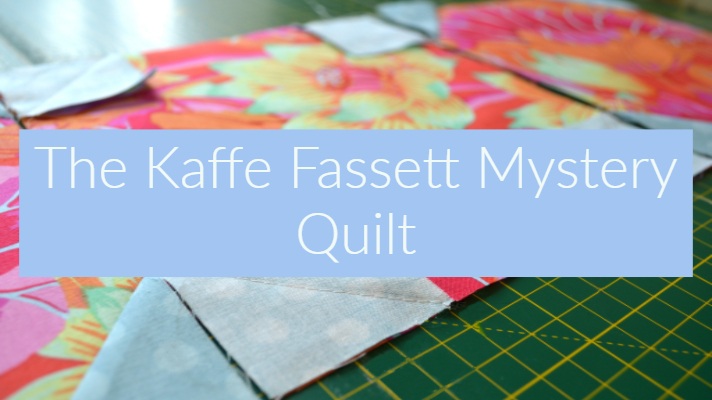 We've asked our fellow Cotton Patch'er' Colette, (who's new to patchwork and new to using Kaffe Fassett fabrics), to tell us about her experience with the Kaffe Fassett Mystery Quilt Light Box; Month One. Let's start with initial feelings when you opened the box? So Kaffe Fassett isn't your go to designer? 'On the bolt, the bright, bold designs sort of overwhelm me however even after just the first set of blocks I'm already beginning to see how beautifully the come together and I'm really starting to love it. 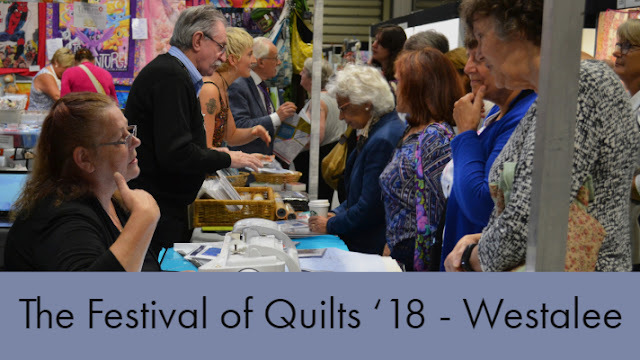 Whenever I see quilts using the Kaffe Fassett Collective I think they're stunning, so I'm excited to not have to worry about choosing what I think are the right combinations and to just get to enjoy piecing it all and watching the colours and designs come together! You can see more Kaffe Fassett Collective Fabrics here! What did you think about Month One - did you like the way it was put together? 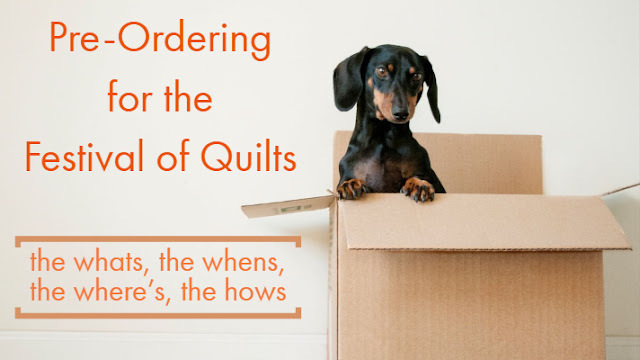 I love the fact I've now got a box to store it all in as I go - I don't think I'm the only one who suffers from a mildly hectic sewing room every now and then, so it's nice to know it'll be safe and together whilst I'm waiting for the next month. And what about the complimentary fat quarter pack - any plans for that? There's few things more exciting than free fabric let's be honest. It looks really beautiful, I've got a wonderful combination - I'm thinking a lap quilt. How did you find making section one? Did you struggle with any bits? I was actually surprised, I thought it looked pretty straight forward. The instructions were clear so I knew what I was aiming for. I do feel however, that with this block it is important to be precise so I decided not to rush it in order to make sure it wasn't skewed. Did they take you long to put together? No not really. I feel if you wanted to you could complete it within an afternoon. However, I didn't do it all at once because, as I say, I wanted to make sure it was precise so it probably took me a little longer. Are you raring to go for the next section? I can't wait to see the fabrics but I'm mainly excited to see what the next block's going to be - whether I'll be practising my snowball skills or if I'll be learning something new! It was great to hear how Colette found month one and we'd love to here from you too! Make sure you comment below to let us know how you're getting on and be sure to tag us in any progress photos on Facebook and Instagram. I’ve been following on Facebook and there some quilters have spoken about starching the cloth to make cutting and working with it easier. I used their recipe, including the vodka, but I couldn’t find any liquid starch and dry starch gave terribly patchy results. Last night I read about Mary Ellen’s Best Press and I ordered it from your web site. I’ll wait till it arrives before starting the second block. I’ve never done anything to my cloth before I quilted and I have made six so far which have all turned out beautifully, and I have never used cotton thread. 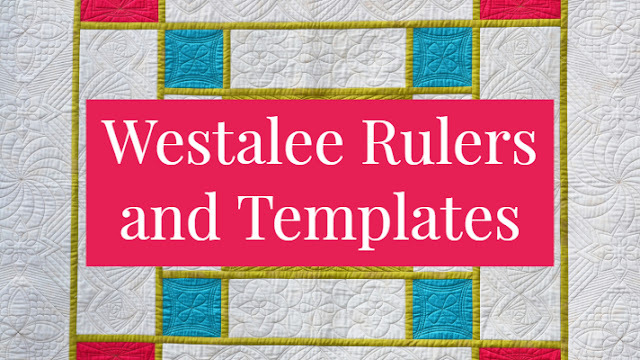 However I am following the recommendations and the Aurifil has been ordered. I thought with a month to complete it would have been more challenging. Hopefully as we progress things will improve. Stunning materials don’t ever be afraid of colour! I also thought that the mystery quilt would be more of a challenge. Month 3 has just arrived and again it is very simple. If it carries on like this, I think it should have been marketed for beginners. So far I wouldn’t say that the contents of the monthly pack justify the price. I notice that you haven’t kept up your blog is that because the project is so stultifyingly boring? I have always like Kaffe Fassett designs. As his knitting and tapestry patterns are complex, I expected the same from the Mystery Quilt. Like the previous comment I am also disappointed with the simplicity. Had it been made clear at the onset that this was for a beginner, I may have had second thoughts about committing to the offer. I have now been informed that month 4 will be late as the fabric required is unavailable. Really! This is beginning to turn into a farce. I understand that a Mystery Quilt 2019 is in the pipeline. I, for one, will NOT be placing an order. Mystery Quilt - I absolutely love Kaffe fassett colourful fabrics so was drawn to making the quilt ..... if this was the best design I could come up with I would give up quilting!! And the fabric ... dark purple with a squiggle and green with a light spot ... are these the best they could choose? And what a waste of time making checkerboard square after checkerboard square not to mention the alternate strip squares. I think even an absolute beginner could manage these. The cost is exorbitant. Over £250 and that is only for the quilt top! 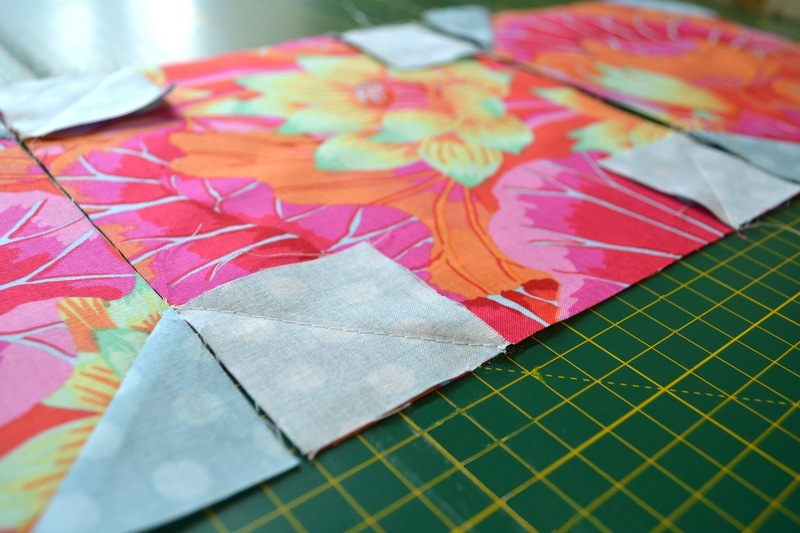 I will use the fabric but with some of Kaffe fassett beautiful colourful fabrics. I have made many quilts over the last 20 years, a good number using Kaffe Fassett fabric and designs. I am absolutely disgusted and cannot imagine that Kaffe would put his name to either the fabric colours chosen or the design after all the gorgeous quilts he has made.